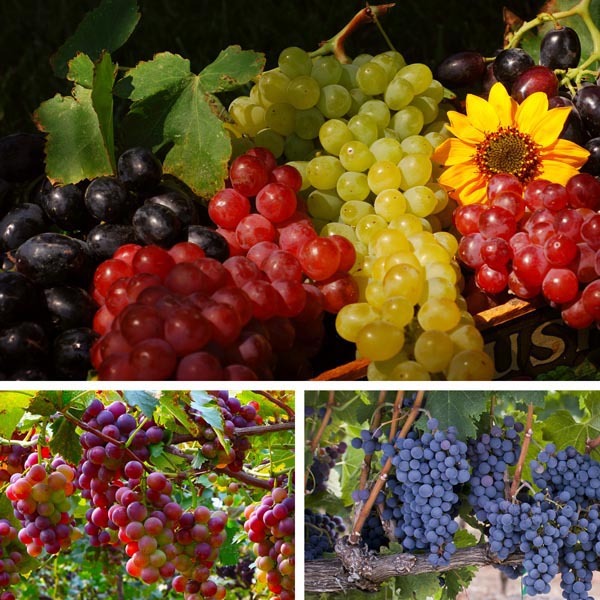 Labrusca grapes, also commonly known as "Fox Grapes", are a North American native plant that has been the basis for the development of many robust grape varieties over the years. 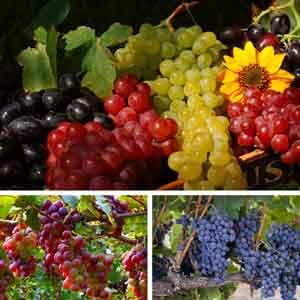 Plant breeders have created cultivars that produce red, purple or white berries, and seedless forms are available as well. All are delicious, nutritious and easy to grow. The plants grow fast and can quickly cover a trellis or lattice frame to provide a privacy screen or shade over an arbor or pergola. The edible fruits are perfect for eating fresh, using in jam or wine recipes, or leaving on the vine for birds and other wildlife to enjoy. Provide climbing support. Prune as necessary, in mid-to-late winter, to maintain shape. Allow fruit to fully ripen before harvesting. For best plant development discourage fruit production for the first two seasons. Prune the side branches away to encourage one strong main stem and allow just the strongest two top side shoots to grow. This attention to a good beginning will insure a sturdy plant and maximum production for years to come.